Hi, my name is Charlie Russell, and I’ve always been interested in wildflower pictures. I’m also branching out into some landscape photos, and even a few wildlife photos. This website has a selection of my best photos, I hope that you enjoy them! 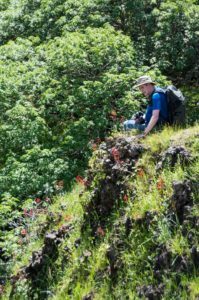 You may be interested in my other website, Wildflower Hikes, where I post articles about the places that I’ve visited to capture these (and many other) subjects. You can also keep up with the latest in my wildflower discoveries at my California Wildflower Hikes Facebook page. Purchasing Photos: Many of my photos are available to purchase, as prints, canvases and other formats. See my photo purchasing page for details.